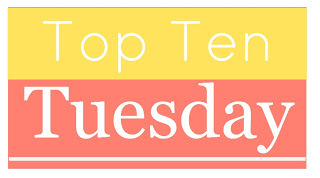 Top Ten Tuesday-The Best of 2013 | YA? Why Not? ← Mondays with Megan-Farewell, 2013! I cannot believe that there are mere hours left in 2013. Just like any year, 2013 had its ups and downs and it is always a bit sad to see time pass. But as I sit here in my favorite coffee shop writing one last blog post, I am full of hope and excitement about the new year. This place is packed and in one corner is a group of about eight teenaged girls. I sit here watching them slink through the coffee shop, giggling and dropping little slips of paper in front of strangers. Interesting. Just now one of those slips came my way. The message reads: “Happy New You!” How sweet and fitting. Anyway, time for one last reflection. The Broke and The Bookish have assigned to grueling task of picking our top ten reads of 2013. Today is your luck day. A two-fer. First up, my favorite YA reads, followed by my favorite non-YA reads. There you have it, a lucky 13 list! This entry was posted in Book Lists and tagged favorites, Top Ten Tuesday. Bookmark the permalink. I haven’t read any of these yet! Though Days of Blood and Starlight and The Dream Thieves are on my to-read list because I enjoyed the first books in the series. I also want to read Life After Life. Well, maybe in 2014 I’ll get around to it!